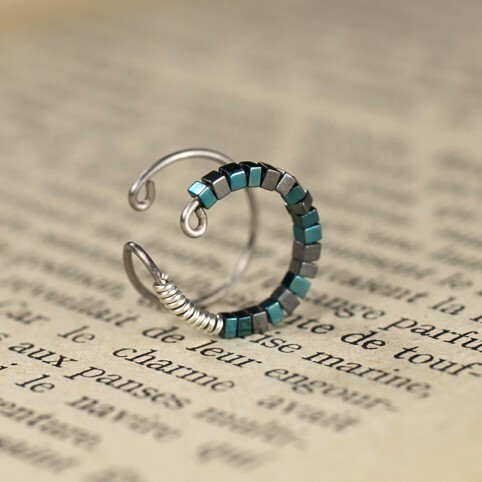 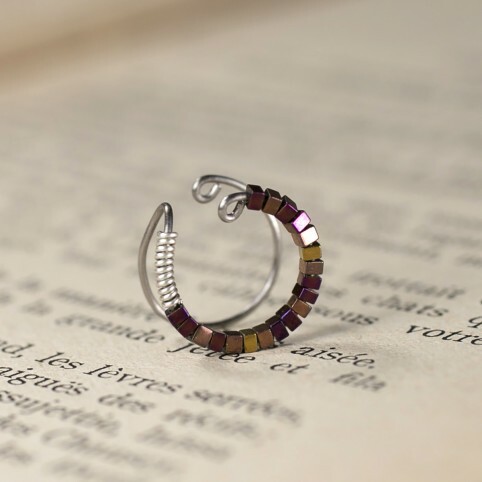 Ear cuffs for non pierced ears. 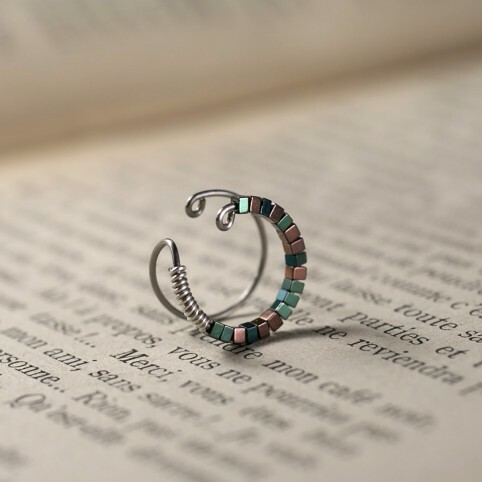 Helix ear cuffs, conch ear cuffs, no piercing, no pain :) Made of pure titanium, silver and gemstone beads. 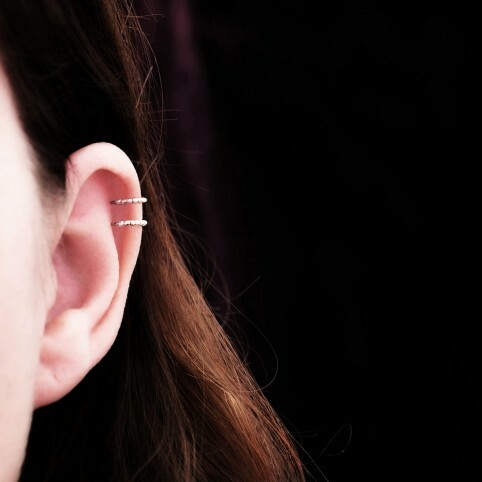 For non pierced ear :-)Titanium conch ear cuff with small silver bead. 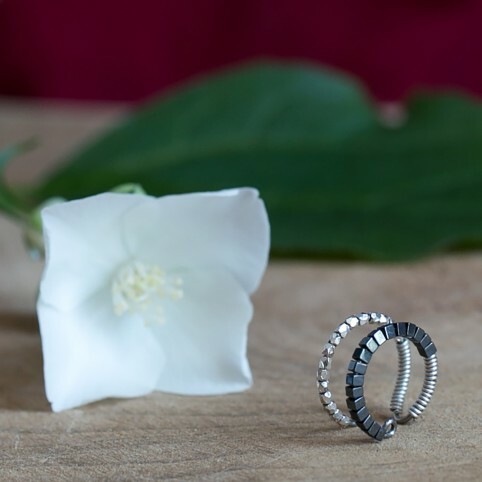 Titanium - hypoallergenicDiameter: about 12-13mm The small silver bead measures about 3mm in diameter. 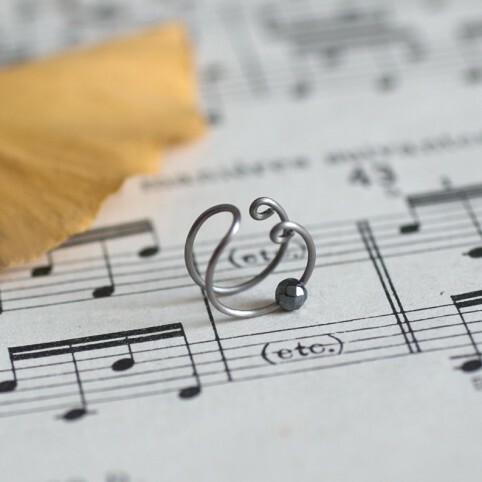 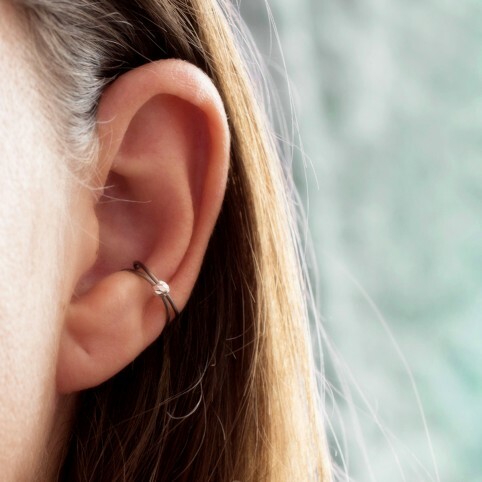 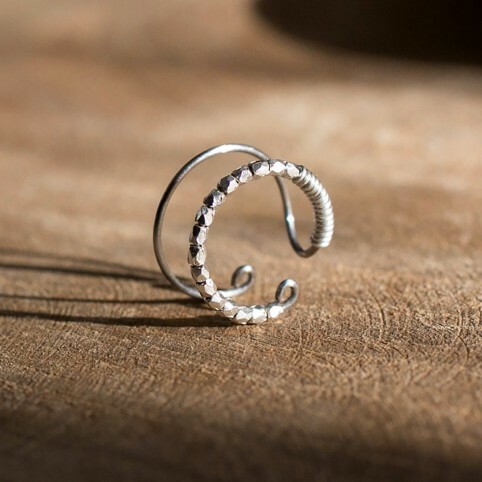 This ear cuff is handmade with pure titanium wire (grade 1 - surgical grade). 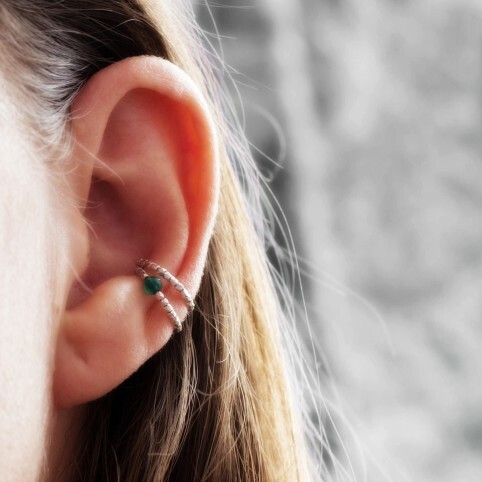 Even suitable for very sensitive ears. 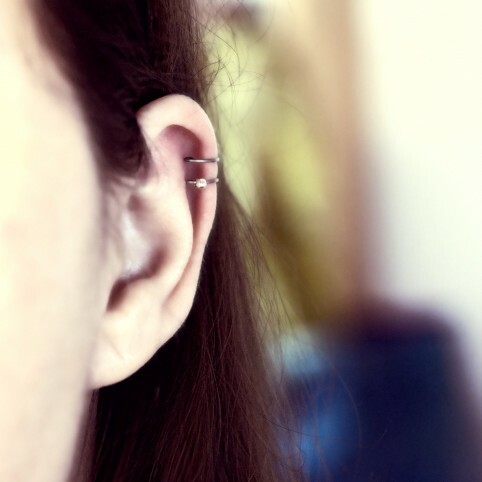 Titanium is biocompatible and also extremely resistant.